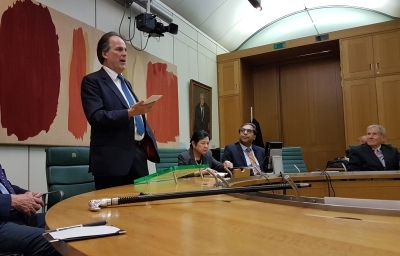 David Stringer-Lamarre, MD of FortisCL, was pleased to attend this event of the British Malaysian Society, held at Portcullis House, Westminster. David is a member of the British Malaysian Society. The topic was ‘UK-Malaysia Relations’. A welcome address was delivered by Dato Anthony Cooper, Chairman of the British Malaysian Society. The Minister provided an engaging and interesting speech which touched on the relationship between the two countries, Foreign Direct Investment, ASEAN, Islamic Finance, security cooperation and the role of education. The Minister also kindly agreed to take a number of questions from the large audience. This included one from David Stringer-Lamarre relating to the service component of Free Trade Agreements.